The EUR/USD currency pair has almost reached all targets of the hourly rising pattern. 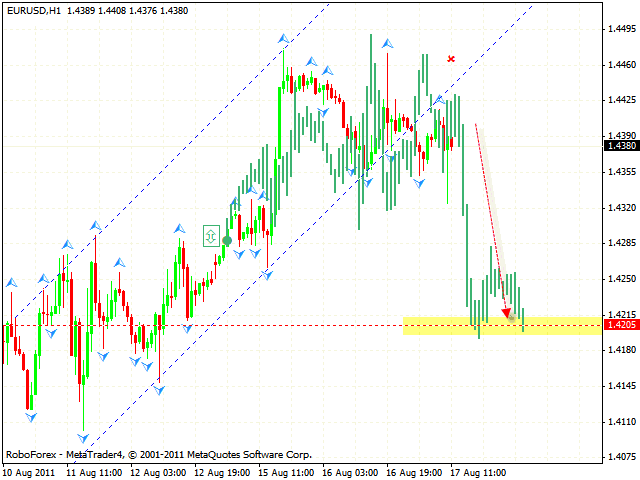 At the moment there is some risk that the pair will fall down to the channel’s lower border in the area of 1.3700. The price is testing the channel’s upper border, which, in this case, is a resistance level. The price testing the trend’s descending line at the RSI is an additional signal, we should expect the price to rebound and start moving downwards. But if the price breaks the channel’s upper border and leaves it, this case scenario will be cancelled. 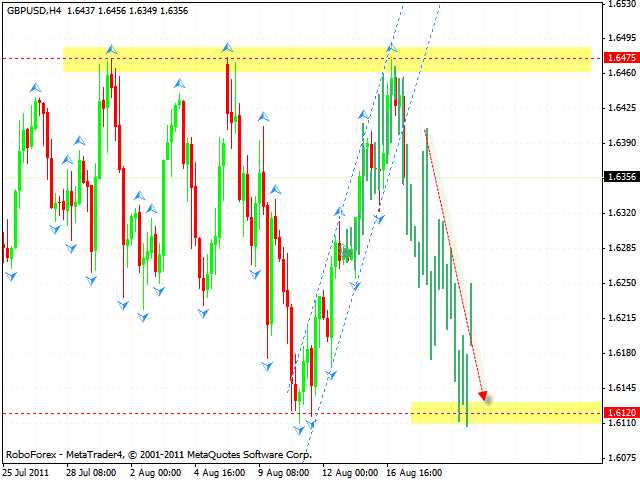 At the H1 chart we can see that the pair has left the rising pattern, one can try the tight stop sales. The closest target of the fall is the area of 1.4205. But if the price reaches a new local maximum, this case scenario will be cancelled and we will recommend you to close short positions. 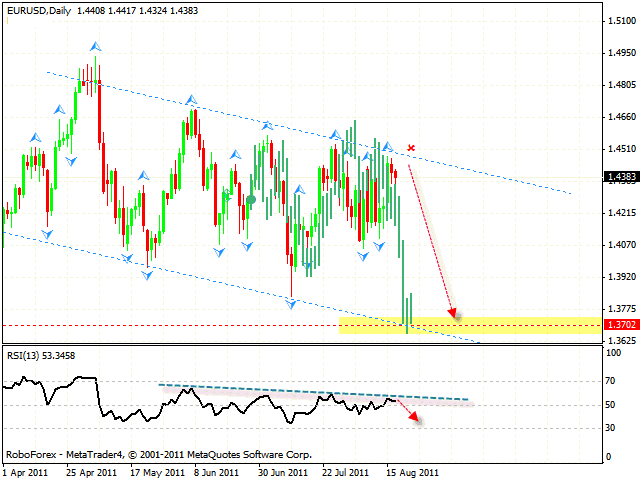 Pound faced a strong resistance level in the area of 1.6475, the price has left the rising channel. We recommend waiting until the test of the area where channel is broken. There, one can consider opening short positions with the tight stop. The target of the fall is the level of 1.6120. But if the price breaks the resistance level in the area of 1.6475, this case scenario will be cancelled. 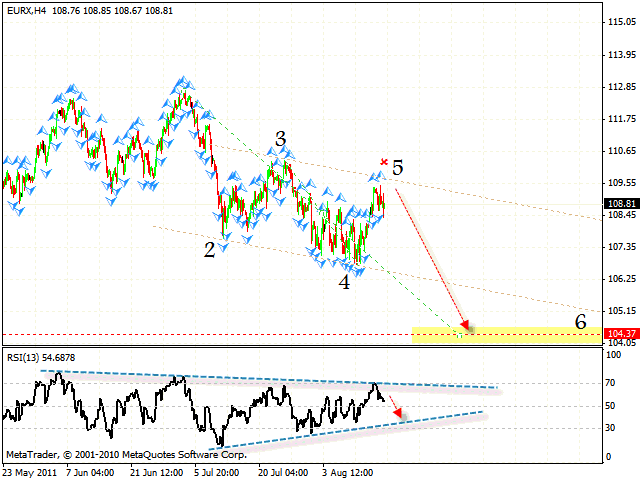 In case of Euro Index we can see the formation of the descending pattern with the target in the area of 104.37. The price is testing the descending channel’s upper border, we should expect the start of the descending movement. The price testing the trend’s descending line at the RSI is an additional signal of the fall. But if Index breaks the level of 110, this case scenario will be cancelled. After a slight correction Gold is growing again. 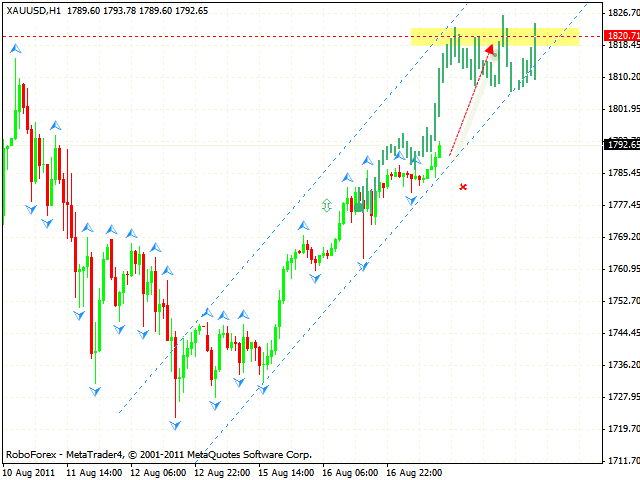 At the moment the price is moving inside the rising channel, the target of the growth is the area of 1820. One can try to buy the instrument with the tight stop. But if the price breaks the rising channel’s lower border and leaves it, this case scenario will be cancelled.